On popular demand, we are back with the Must Try List. This time, we have got some interesting must haves, including make up and skincare favourites, much anticipated films and more. All set to make your February special? Then you must read on to know more! While we be doing a detailed review of this range very soon, we must say that we can't stop loving the all new Black Musk range by The Body Shop. The newest addition to their musk range after White Musk and Red Musk, the black musk has a delightful fragrance and comes in both Eau de Toilette and Eau de Parfum. It contains community fair trade organic alcohol, which crafted from sugar cane. We love the packaging, which makes it a perfect V-day gifting option! You saw all live updates from the launch event of this product on our Snapchat account, and well, this super light foundation mousse has made it to our list of favourites for this month. Since February is a pleasant mix of warm and cold weather in most states, we think the Lakme 9 to 5 weightless mousse foundation is perfect for this month! The light texture and packaging makes this product super travel friendly. That's all we can reveal for now, as we will be talking about the product in detail soon. 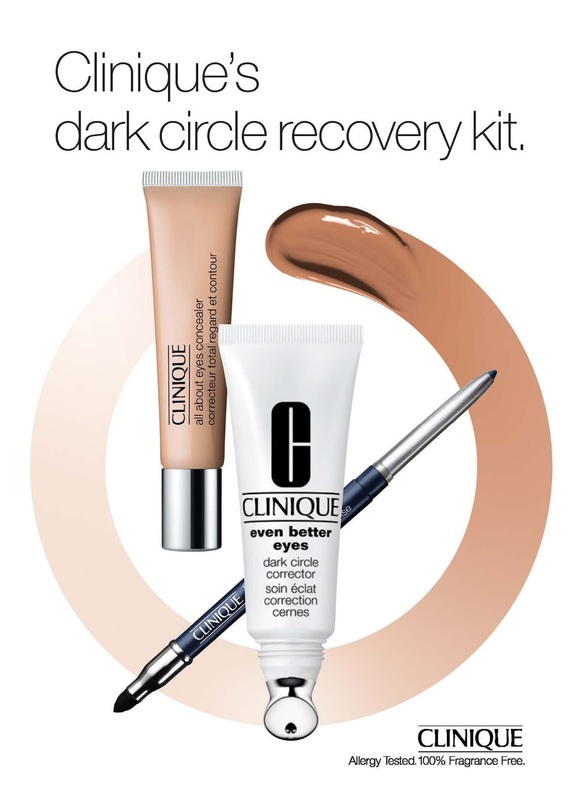 Dark circles are a major concern for almost everyone, and one of our favourite skincare brands - Clinique - has come up with a Dark Circle Recovery Kit, which aims at lightening the under eye area over time through a three step process. The kit includes - Even Better Eyes Dark Circle Corrector (a gentle, tinted eye treatment formula to lighten the entire eye area and prime skin before makeup), All About Eyes Concealer (a multi-tasking, long-wearing, moisturising concealer that not only disguises dark under-eye circles but also reduces the look of puffiness) and finally, the Quickliner for Eyes Intense (distract attention from dark circles with our phenomenally versatile eye pencil for all day wear). Always wanted to surprise your loved ones with a caring gift? Don't think it can get better than this. Or perhaps, it can make for a good self help gift as well. While one tells the tale of a brave heart, the other is a cinematic adaption of one of Charles Dickens' most popular novels. February looks like a good month for films as we have Fitoor and Neerja releasing one week after another. Abhishek Kapoor's Fitoor has been in the news since quite sometime, thanks to the multiple changes in cast and more recently, Katrina Kaif's hair makeover worth 55 lakh. But, the promos have caught our eye and we think this Aditya Roy Kapoor - Katrina - Tabu starrer is something to watch out for. 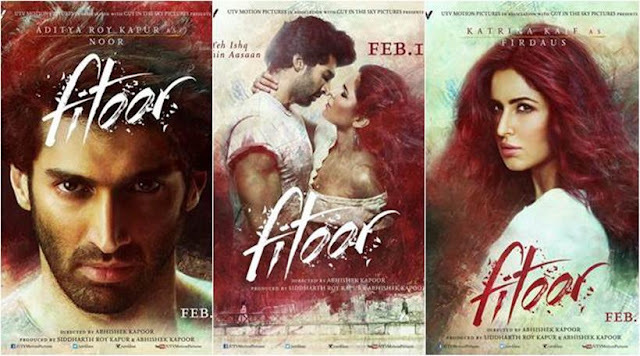 Fitoor hits the screens on February 12. On the other hand, we have Sonam Kapoor stepping into the shoes of PanAm braveheart Neerja Bhanot, in a biopic titled Neerja. We are loving Sonam's look in the film and the promos have already left us speechless. Some scenes are enough to give you goosebumps. The film shows an important journey of a girl, who single handedly changed the lives of several passengers, while sacrificing her own. We have got your eyes on ad-man Ram Madhvani's directorial debut. 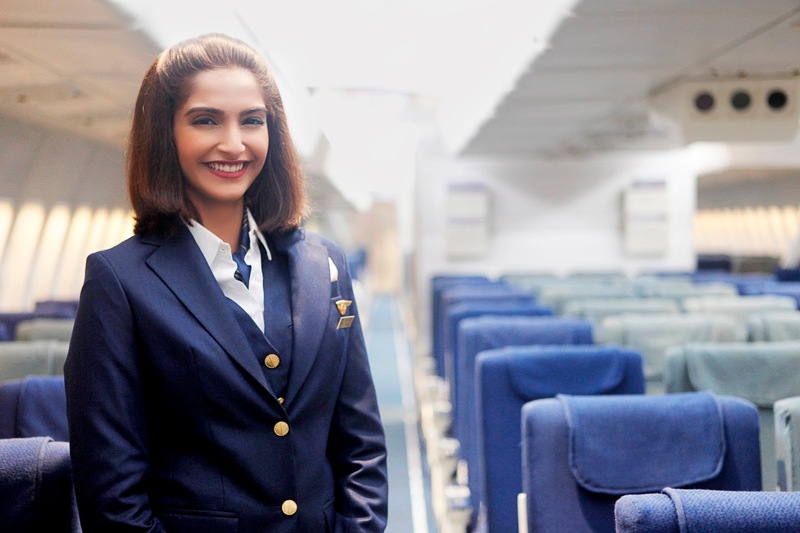 Neerja is all set to release on February 19. We all know him as the industry's most loved 'Chainu' or 'Kalicharan'. But, for those who always wanted to know about the struggle that went behind the making of legendary actor Shatrughan Sinha, we suggest you pick up his biography. 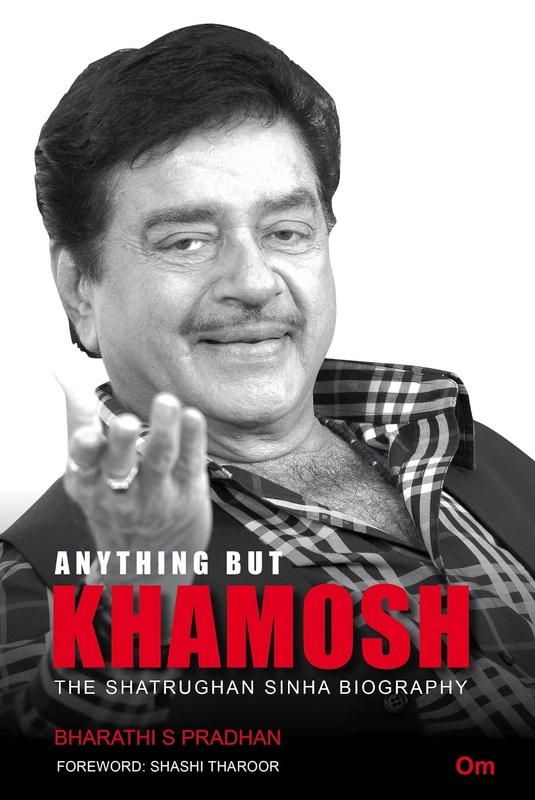 Anything But Khamosh: The Shatrughan Sinha Biography - by popular veteran journalist Bharti Pradhan, is a fascinating read that retraces journey of India’s most popular Bihari Babu. Let us know if you would like us to review this book! Experimenting with your lip colours just got easier. Well, ladies, the Maybelline Color Sensational Lip Gradation is here and it promises to help you experiment with different looks everyday. The lip gradation is a buttery soft powder stick with a color stick at one end and a cushion blender on the other side and comes in eight powder shades. Maybelline claims that these are lipsticks have highly saturated pigments to give you a gorgeous pop of colour (well, we can figure that out once we try it, yes?) 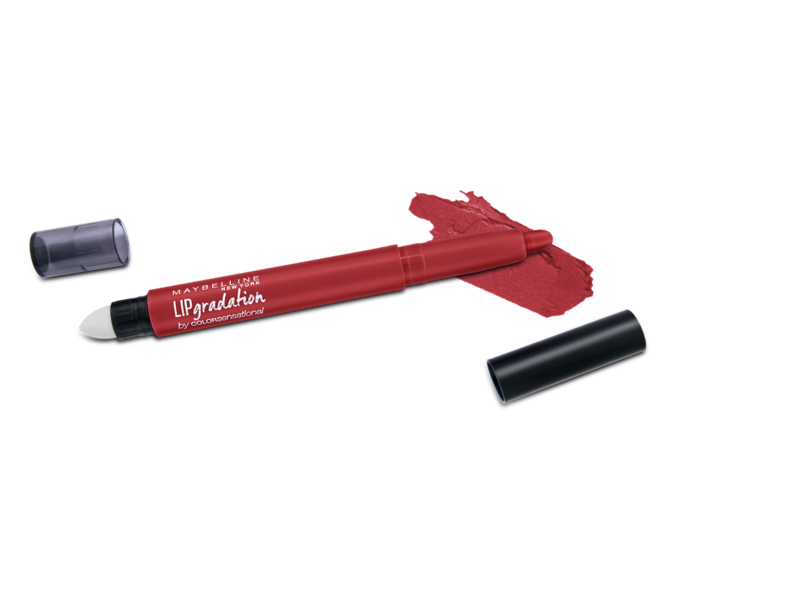 The Maybelline Lip gradation is priced at Rs 500. February is not just about love. In Mumbai, it also marks the beginning of the Kala Ghoda Arts Festival. The week long festival includes art installations, workshops, performances, and specially curated exhibitions that will keep the art lover in you hooked on. Plus, shopaholics can head straight to the Rhythm House lane, where a wide variety of items from across the nation (Yes! You read that right), right from Rajasthan to Orissa and even Maharashtra, are available for sale at the stalls. Still need a reason to visit the KGAF? 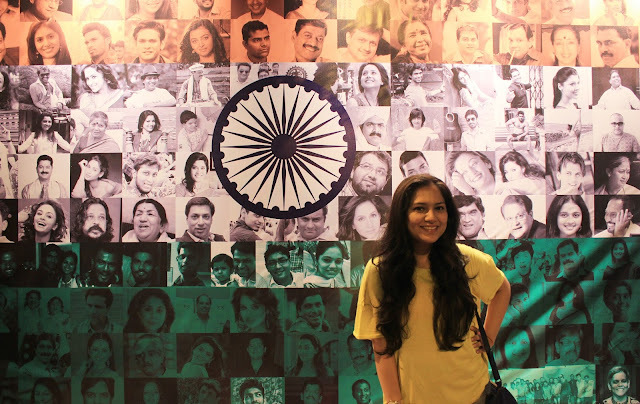 Click on the image to watch our exclusive video from KGAF 2014. Got a favourite already? 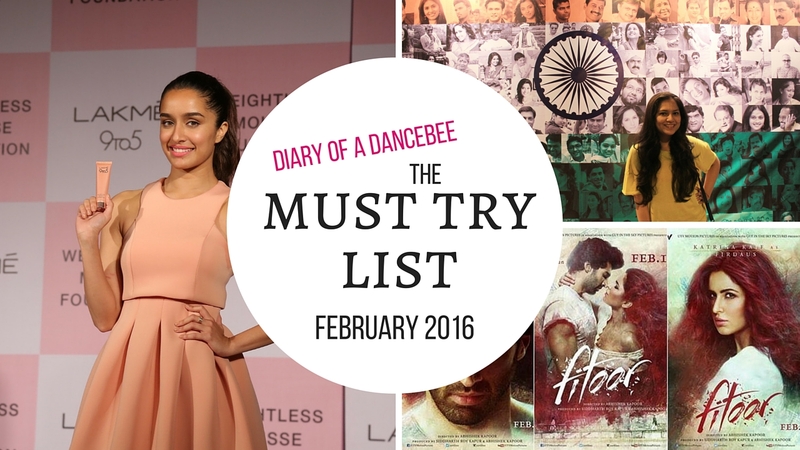 Tell us what you are excited to try from my 'Must Try' list for February. Being a complete cineaste, the movies are the ones I'll be hooking on to this month.